Okay, so I knew it would eventually happen, but I wasn't expecting it to be so soon! It has been a whole week since I've blogged! YIKES! It's just been a busy week...and a really quick one! On Friday, I left school right away to drive the football cheerleaders to their away game, got home super late and CRASHED! I slept in a bit on Saturday and headed to my public library's book sale and picked up some books and this really cool poster! What I REALLY wanted to tell you about is a giveaway! It's not my own giveaway, but you can win your choice of a product from my TpT store! I just stumbled upon Christin's blog, Shifting Teacher K-2, and she happened to be looking for bloggers to donate prizes for her giveaway to celebrate 200 FOLLOWERS! YAY! I'm so excited to be a part of it! There are 5 great packs and each has their own rafflecopter, so make sure you head over that way to enter! Lots of great things to win including a pencil sharpener from Classroom Friendly Supplies! :) Congratulations Christin! It's amazing how those weeks just slip away on you, isn't it? :) Thanks for passing along the info on the giveaway! Ehrmahgerd!!! 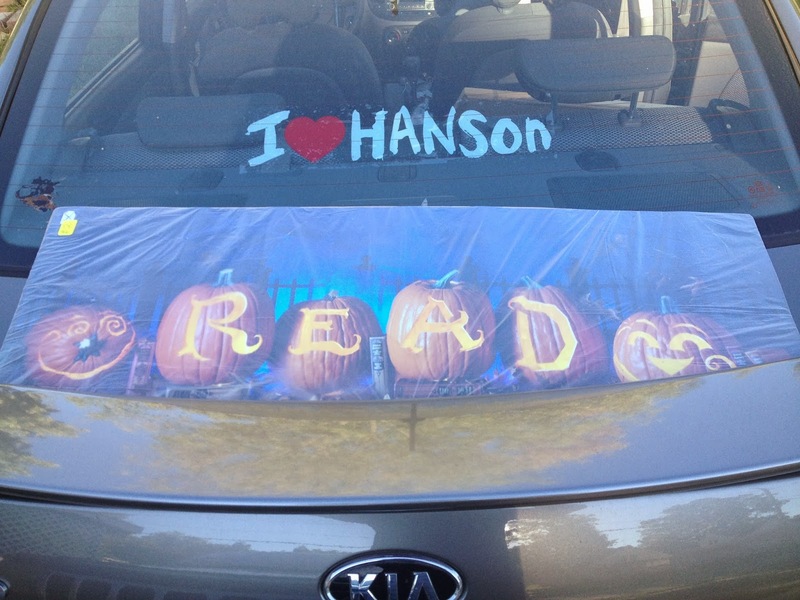 I LOVE Hanson! So glad to see others that do as well! I will definitely head over there and enter her rafflecopter!